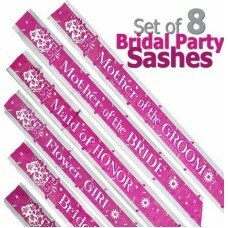 Foil Sash Set 8 sashes in total - Mother of the Bride, Mother of the Groom, M.. Satin Sash Bride to Be. Hot Pink with lighter pink accents. 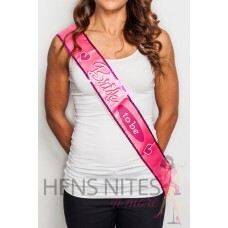 One size fits most&n..
Bride to Be Dare Sash. Place the sash on the Bride to Be so the dares pocket is .. Flashing Sash. One size fits most. ..